In the information age, a message can be relayed in millions of ways. Advertising and promoting is only effective if the people receiving the message have a stake in the product or service. Because of this, it’s important to carefully consider promotion options before committing to a marketing strategy and launching an advertising campaign. Forbes contributor John Hall breaks the process down into three components for consideration. To begin, he suggests looking at the intended audience, which should theoretically align with the target consumer demographic. Find out what they look at, how their schedules are organized and how they generally consume information. An easy example is the Millennial generation, which is increasingly tech-savvy each year. Branded tech and mobile accessories may reach young adults best because the products suit technology they are already using. Perhaps promotional note and memo pads would be well-received by working baby-boomers who spend their days in a traditional office setting. If the company’s products and services are directed more toward retirees, mugs and drinkware may be more appropriate to use for promotions. Coffee cups, water bottles and glassware fit better into a relaxed and leisurely lifestyle than office supplies. Next, consider the marketing budget. Small businesses are often working with relatively small allowances, but that doesn’t mean getting the brand out there is hopeless. According to Hall, continuous ads in niche publications may cost the same as a major TV advertisement, but the former will bring more impressive, long-term results than one large promotion expense. Now it’s time to nail down what is being conveyed with the marketing plan. The message must have a mission, a purpose and goals. Once they have been established, determine how that specific message can be shared to the target audience while keeping with the allotted promotions budget. The purpose of marketing is to attract and retain a solid foundation of clients to reliably maintain sales volume. 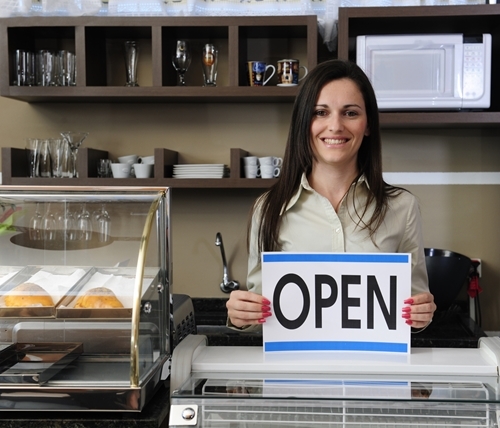 According to the Small Business Association, this must be done by operating the business with customers’ needs in mind. It’s important to evaluate trends that may play into sales and profitability for the company and take note of the competitor’s strategy. To define a strategy, identify customer groups that would be better served by the company or needs the customers have that aren’t being met by the competitor. From here, the target market can be divided by geography or characteristics of a demographic, such as jobs and interests. The marketing mix can be divided into four main sections: products and services, promotion, price, and distribution. For small businesses, whatever is provided for the consumer should be specialized and include personal customer service. Promoting the company can be done through traditional advertising mediums, but good salesmanship often must compensate for a small marking budget. Even if there isn’t money to blow, putting a brand or promotional slogan out there can be inexpensive while reaching consumers. For example, promotional pens or flip-top notepads are affordable and available at the customer’s fingertips, literally. Price points are partially determined by the market, but according to the Small Business Association, the personalized service that comes with a small company and staff can be grounds for a price increase compared to larger competitors. For distribution of a product or service, it’s important to consider both the cost and traffic flow. There needs to be an effective balance between the two. Is it more beneficial to be located in a city and pay higher rent, or settle in a more isolated area where the company can pay minimum prices for maximum space?